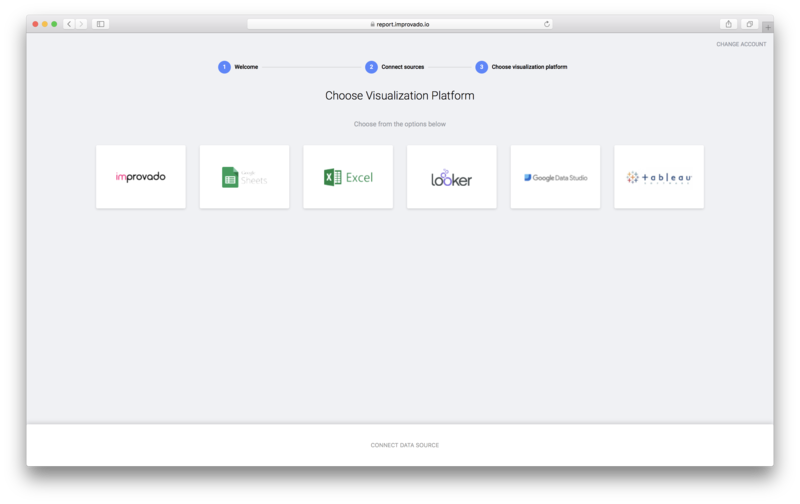 After adding datasources you will be able to choose a visualization platform from the list. In fact, you need to decide would you prefer our visualization platform or other BI tools. After choosing the first variant you will be redirected to improvado reporting platform, othervise you will go to the specific information page, which contains your connection credentials, video-instructions for data connection and a set of templates.